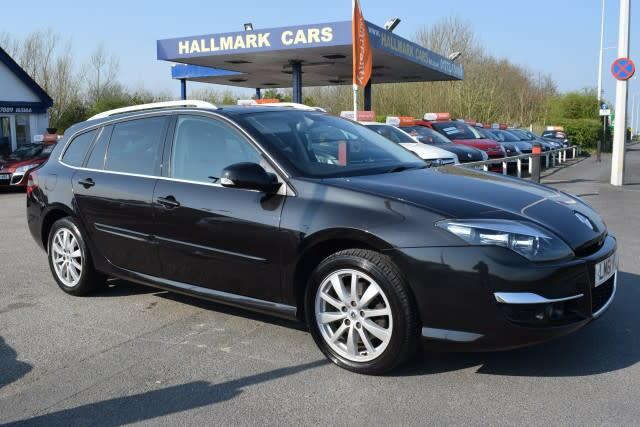 Safe, refined and comfortable - that's the used Renault Laguna. From 2007, there's an all-new hatchback and plush estate that families will want to investigate. The used Renault Laguna is happiest on long motorway trips, but fine stability and cornering make it fun on winding roads, too. Weekends away are also well catered for, with a huge luggage area made even bigger with split/fold rear seats. Family-friendliness is completed with a five-star Euro NCAP crash-test rating. Of the engines, the diesels are the wise choice, although the 2.0-litre petrol offers decent pace and 38mpg. The 110bhp 1.5-litre dCi provides amazing fuel consumption of 58mpg, while the 2.0-litre dCi pulls well in 130bhp or 150bhp, the larger engine taking you from 0-62mph in 9.5 seconds and offering 47mpg. Every model offers air-con, four electric windows, alloys and electronic stability control. Go for a Dynamique and you'll get cruise control and front fogs while, if you want leather, you'll need an Initiale. The GT gives you 18-inch alloys, smoked rear lights and aluminium gear lever and pedals.